Toronto: Home of RUSH! Birthplace of Will Arnett, Sarah Polley and Mike Myers! And apparently, a land filled with unabashed lovers of Australian cinema! A bunch of home-grown features have been selected to screen at this year’s Toronto International Film Festival. Michael Henry’s Blame, Leon Ford’s Griff the Invisible and Ben Lucas’ Wasted on the Young will all play in Toronto’s Discovery program; a showcase for innovative new filmmakers. 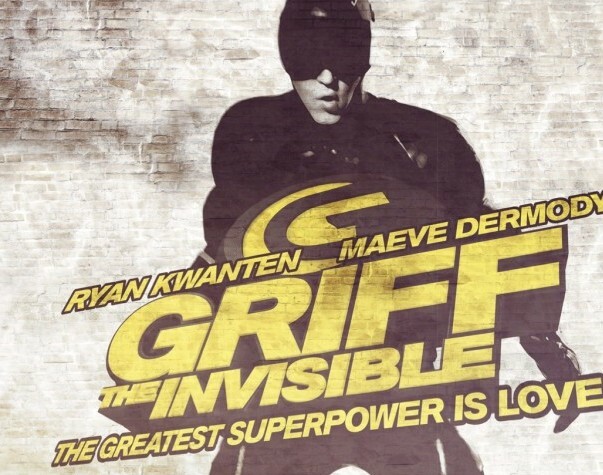 The TIFF screening of Griff the Invisible (a superhero film starring Ryan Kwanten) will be its world debut. Louise Alston’s Jucy will screen in TIFF’s Contemporary World Cinema section. A couple of documentaries have finagled their way into the Reel to Reel program. They include Mark Hartley’s Machete Maidens Unleashed and Paul Clarke’s Mother of Rocl: Lillian Roxon. Featured below are details on each of the films, courtesy of Screen Australia. Synopsis: Jackie and Lucy (Jucy) are stuck in delayed adolescence and the whole world knows it. Motivated by criticism and determined to prove to everyone they are ‘normal’, Jackie sets out to snag a boyfriend and Lucy goes after the job of her dreams… but the pressure of fitting in might force their ‘womance’ to implode. Synopsis: Seeking retribution for a past crime five friends violently attack a man and fake his suicide. But, to get away with murder you can’t make mistakes and as their bungled scheme unravels, so too the deception that brought them to their own ill-fated crime. Synopsis: Griff – office worker by day, superhero by night – has his world turned upside down when he meets Melody, a beautiful young scientist who shares his passion for the impossible. Synopsis: After an incident at a high school party sets off a fatal chain of events, two brothers must place their lives at the mercy of popular opinion. Synopsis: A fast-moving, no-holds-barred exploration of the blood-drenched and action-packed world of Filipino genre filmmaking. Synopsis: Mother of Rock: Lillian Roxon shines a light into the decadent world of Max’s Kansas City, a tiny underground club in New York, and Lillian Roxon’s place in documenting the emerging rock revolution as it rolled over the US in the 1960s and early 1970s. Toronto International Film Festival runs from 9-19 September, 2010. Although the festival is non-competitive, there is a People’s Choice Award handed out each year. Previous winners include Slumdog Millionaire and Precious. Discuss: Good luck to all!